One of the trendiest products on the market today is easily activated charcoal. You’ve seen it take over Instagram posts in the form of black ice cream cones, black hamburger buns, and charcoal masks that improve the look of your skin. Let’s talk about charcoal masks here, though. The secret to them is picking one of the highest quality. So, how are you supposed to know which ones are the best? We have all of the best charcoal masks down, below. What are you waiting for? Now that you’ve had a look at each of the best charcoal mask products, you’re probably interested in reading more about them. Go ahead and scroll down a bit further, where you’ll find in-depth reviews of each one! Are you looking for the best blackhead remover mask? If so, keep on reading. 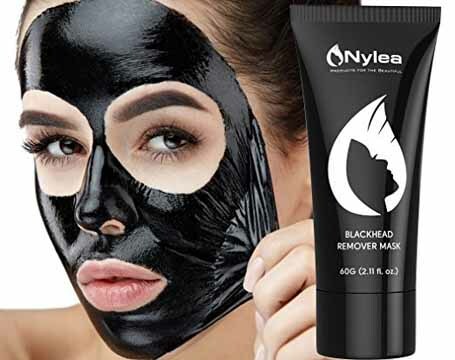 The Nylea Blackhead Remover Peel Off Mask is the best peel off charcoal mask. 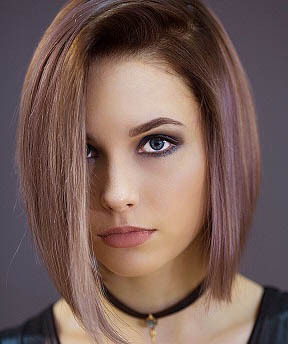 This style of masks has grown exponentially in popularity in the past couple years, and there don’t seem to be any signs of stopping anytime soon. Blackheads can be really difficult to remove. You don’t want to squeeze them, as they can cause deep scarring or big pores. A great solution to this is the peel off mask. It works to keep skin clean, free from blackheads and other impurities, and leaves skin feeling refreshed and smooth. As you probably have already seen, there are tons of charcoal peel off masks out there. However, very few are going to work as well as the Nylea mask. The activated charcoal, as you’ve probably guessed, is the main ingredient. It works to remove impurities and blackheads, while also regulating oil production. Many products just strip the skin of essential oil while also getting rid of the excess, which actually is worse for your skin. It also helps to prevent future acne from occurring, as well as fading any hyperpigmented spots after continued use. The action of peeling it off works to draw out lingering dirt and bacteria overgrowth even in the deeper layers of the skin. This make really does what it says it’s going to do. 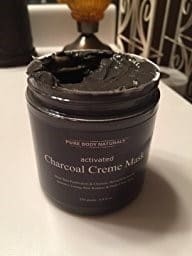 We’d tried our own charcoal peel off mask DIY along with many others sold in stores, and the vast majority of them didn’t pull out anything but some peach fuzz. While it does work, it is a bit painful; particularly around the area around the nose and eyes. You’ll definitely want to do this slowly, as well, as you don’t want to break any capillaries by being aggressive. Overall, this mask did a wonderful job, and did everything it claims. It did take out quite a bit of junk from our pores, without leaving them looking like gaping holes after we were done. Our skin also felt silky-smooth after removing the mask, which was nice. Overall, our skin looked kind of matte and natural, and after a few uses, we did see an improvement in skin tone and evenness. As the mask does improve blood flow, it helps in the regeneration of new cells, which actually makes skin look younger, helping even the texture and tone, so these results made sense. Oh, and did we mention it’s super affordable? Yep; if you’re looking for a great solution to improve the look and health of your skin, but don’t want to invest a lot in a product you’ve never used before, make sure to really look into the Nylea! 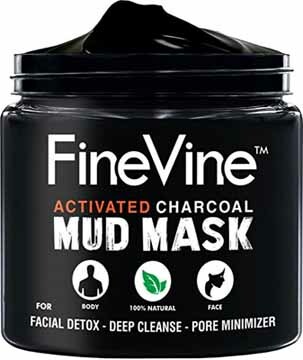 The FineVine Activated Charcoal Mud Mask is a bit different than most charcoal masks out there. Why? It is because it is a thick, luxurious, cool mask rather than the peel-off. The 2-in-1 mud mask features a unique combination of activated charcoal, along with Dead sea mud. They work in conjunction to help tighten/shrink pores, fight acne, and remove dirt and other impurities that could be clogging your pores. It works by binding to the dirt/bacteria as it’s drying, and also helps to remove excess oil from the skin as it dries. It also softly exfoliates, getting rid of dead skin cells, and simultaneously remove acne-causing toxins. With the included Shea Butter, you’ll feel your skin much more hydrated, with a lessened appearance of fine lines and wrinkles. It was definitely a luxurious one, that’s for sure. Going on, the mud mask is very thick, as you’d expect, but probably a bit more so. It feels cool, calming, and soothing, so it’s definitely not a hassle to put it on. It spreads very well and evenly, without being as messy as some of the more watery masks. Leave it on for about 15-20 minutes, or until you feel it’s completely dry. One thing we did realize, was that once it’s dry, your skin will start feeling kind of tingly – almost itchy. Of course, we can’t say everyone will have the same experience, but for us that was the case. It does come off pretty easily, and doesn’t stick as much as most of the masks we’d tried. After it’s off, it feels amazing. Super-smooth, soft, hydrated skin is what we ended up with. Our pores did appear a bit smaller, but nothing crazy. We did notice that the light of the bathroom started almost reflecting off of our skin rather than just illuminating it. Overall, our skin was more smooth in terms of tone and texture, and seemed more “plump”. It’s not too expensive, but it’s not as inexpensive as others. The price tag is pretty low, but the product is used up pretty fast. 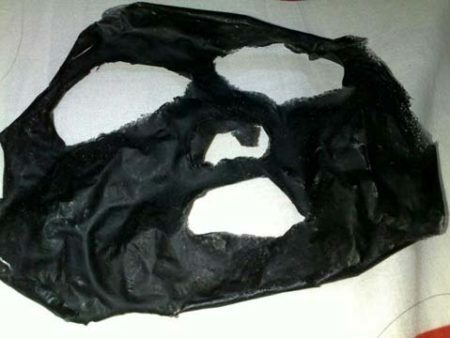 Okay, so technically this isn’t a mask, but it is definitely a charcoal product, and it does work to cleanse your face. 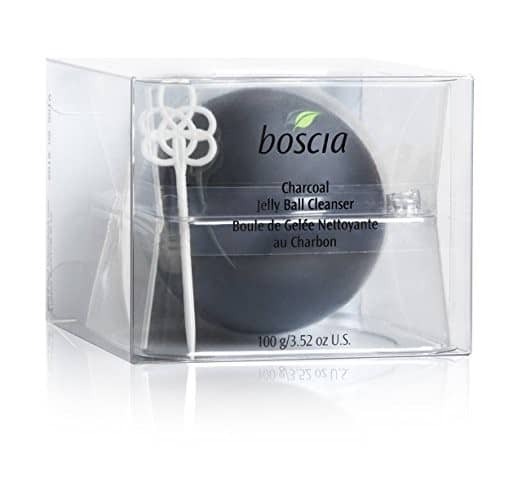 The Boscia Charcoal Jelly Ball Cleanser is truly one-of-a-kind. If you’re looking for a unique way to clean your face, that you actually look forward to doing, then stop right here. This cleansing ritual has been seen in Japan as the most important part of maintaining healthy, clean skin. 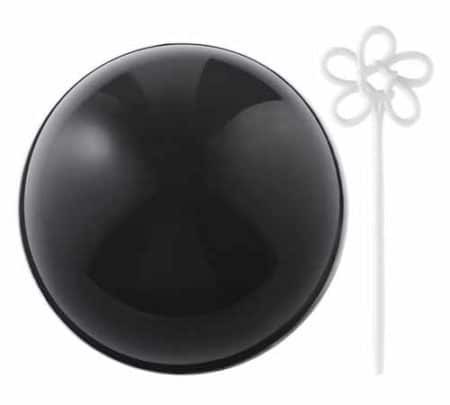 The ball is essentially a concentrated formula, and all you have to do is remove the casing around it and get it wet to start. It works to absorb toxins and impurities in the skin, leaving it looking more even, younger-looking, and clearer. 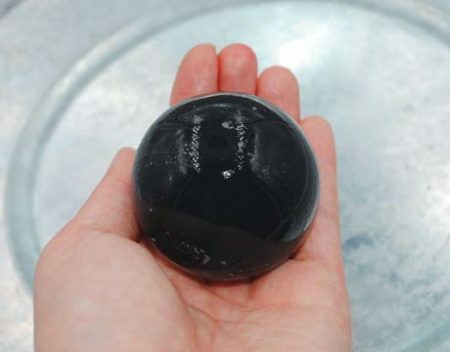 The ball is supposed to be able to absorb more than 1,000x its own weight in impurities, which is pretty impressive. Aside from cleaning up impurities, what else does it do? It works to soothe and hydrate the skin, as well as eliminate fine lines and wrinkles. It contains hyaluronic acid, which works to moisturize the skin and plump it up. The vitamins A and C, along with various antioxidants, also help boost skin elasticity. Hinoki Oil fights bacteria, clears pores, and further soothes and tightens. We had a lot of fun with this one, although, we couldn’t have too much fun, because it’s pretty slippery! The wobbly sphere of skin-improving goodness smells pretty good. It’s kind of hard to describe, but it’s an almost earthy, natural smell. It’s not too strong, so those who have sensitive noses should be fine with this. The actual initiating process was kind of confusing. It doesn’t just come in the state you use it in. It comes in a box, which is easy to open, and a kind of balloon exterior, which is not as much. They give you a toothpick, and tell you to poke the ball where it indicates to. You have to press hard, and it’s kind of scary because you can feel all of the pressure about to release! The reason for all of these shenanigans, is to break the balloon, which keeps it safe. After that, all you need to do is put it in some water, and start rubbing it on your face. You can also use your hands to transfer the cleanser to your face, but the jelly ball is so much more fun and pleasant to use! Once it’s been frothing on your face for about 30 seconds, you’ll want to rinse it off. We did notice a brighter complexion after the first use, and after a few, started to notice more hydrated, smooth, and even skin. Overall, it’s a fun product to use, that’s also quick and easy to use, while delivering good results. That the packaging is so difficult! 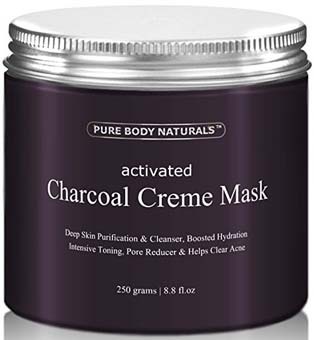 The Pure Body Naturals Sonoma Natural Charcoal Mask is definitely one of our favorites in many aspects. It works to deep clean the skin in order to get rid of any dead skin cells, impurities, dirt, and any other causes of clogged pores. The mask uses activated charcoal, along with many other soothing ingredients to help improve the health and look of the skin. What else does it include in the formula? We loved the inclusion of Aloe Leaf Juice, which works to soothe irritated or dry skin. It even helps reduce the appearance of scarring, as well as heal any current acne breakouts. Glycerin works to help hydrate the skin, and Jojoba Seed Oil creates a protective barrier on the skin. Organic Tea Leaf Extract comes straight from the Melaleuca tree, which you may have heard a lot about. It is a natural antimicrobial and antiseptic, which works to gently clean the skin and sooth irritated skin. 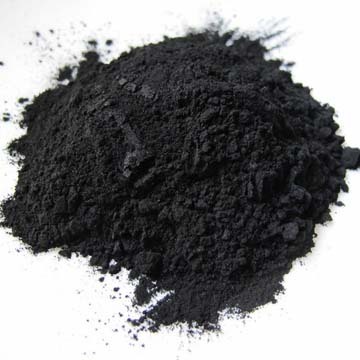 Activated charcoal is none to minimize the appearance of large pores, regulate oil, and rid skin of toxins. Oh, let’s not forget that they do not test on animals! Overall, we enjoyed how easy-to-use the Body Naturals Activated Charcoal Face Mask was, and how luxurious it felt. As it’s a crème mask, it feels very soft and is easy to apply, unlike the majority of the ones we’d tried. As it dries, it does get a bit uncomfortable, but as soon as you remove it, your skin feels super smooth, hydrated, and supple. After a few uses, you’ll even begin to see fine lines and little imperfections start to fade and blur. It actually smells like nothing, which is kind of nice, as you don’t run the risk of not liking it. One thing that was a bit surprising, was how thin the mask was. In its container, it looks very thick, and it’s just meant to go on as a thin layer over the skin. Despite this, it is just as effective, if not more, than the thicker masks out there. 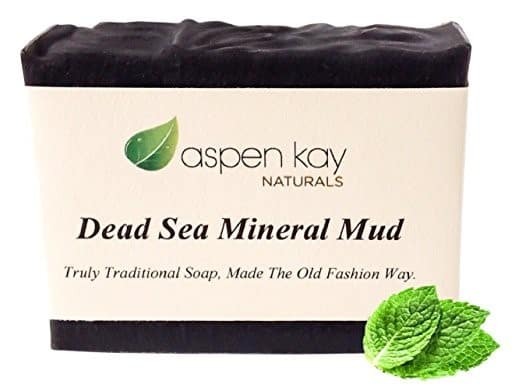 The Aspen Kay Naturals Organic Dead Sea Mud Bar Soap is the go-to if you need a charcoal mask but don’t want to/aren’t able to take liquids with you. If you’re a frequent traveler, just pack this one along instead, so as to not worry about any spillage! The hand-made soap can be used for all-over the body, for the face, or even as a hand soap. Dead Sea Mud and Activated Charcoal. The result of the two? Smooth, soft, and hydrated skin that smells like fresh lemongrass. 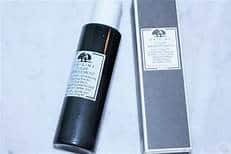 The concentration of over 21 various minerals provides various benefits such as: drawn-out impurities/toxins/dirt, gentle exfoliation, smaller pores, reduced appearance of wrinkles, improved blood circulation, and relief for irritated skin. This charcoal mask soap is very convenient, as mentioned above. It’s also great for any skin type, and can be used for just about any kind of cleansing or skin-clearing you need. We really loved the scent of a kind of minty lemongrass. It wasn’t overwhelming, and gave just a hint of an herbal scent to our skin. Once you start rubbing it in, your skin will immediately start to relax and the soothing feeling will take over your entire body. The fine grains in the bar exfoliate and it feels like a million tiny massages taking place all over your face. After it was all washed off, we noticed smooth, soft skin that looked generally more even, healthy, and even a little bit brighter! You may notice your cheeks are a little red, but that soon goes away, and we can assume is because of increased blood circulation, which helps to regenerate new skin cells! Have eczema, psoriasis, or acne? Chuck this one in your shopping cart, now! It’s great for relieving all of these conditions! It wasn’t too great at pulling out blackheads. Looking to exfoliate, detoxify, and deep-clean your pores? 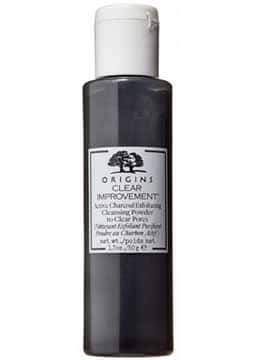 If so, then check out the Origins Clear Improvement Active Charcoal Cleansing Powder. 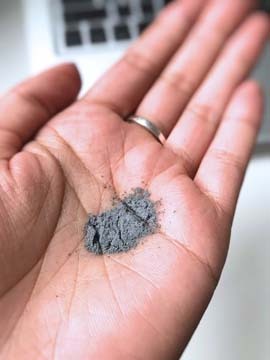 It is, in essence, a kind of charcoal mask DIY, however, all you need to do is add water or add it to your favorite cleanser/soap, and you’re ready to go! The bottle features a dry powder, which is pretty much made up of pure activated charcoal. The charcoal works as a kind of magnet to all sorts of dirt and impurities, so your skin is naturally and gently cleaned. It can actually absorb hundreds of times its own weight in impurities! 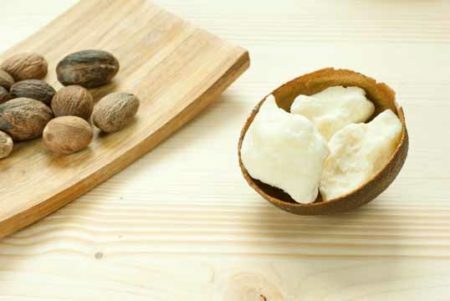 In addition, it also has walnut, which is high in omega-3 fatty acids Together, with Vitamin E, they work to nourish the skin, which will help to give you a smooth, soft, and even complexion and texture. The walnut shell actually works to exfoliate and buff the skin, which will give you that smooth look and create a brighter complexion. Finally, they’re included an essential oil blend of Wintergreen, Clove, Rosemary, and Spearmint to soothe skin while giving you a fresh, clean feeling. The fact that mixing the powder and water can honestly get a bit messy! We really loved this product. It’s very versatile, so you can change how you want to use it depending on the day or the state of your skin. If you want to add just a bit of water, it will turn into a creamy consistency which you can apply as a mask. Add a bit more, and you’ve got yourself a nice exfoliating cleanser. Add even more? Then you have a foamy soap that you can use all over. Do a lot of traveling? Then you’ll love this, for the simple fact that it’s a powder rather than a liquid, meaning that you can take it anywhere you go. When using it as a mask, you will have to apply a pretty thick layer and allow it to dry on your skin. It’s easy to apply and remove, and takes just a few minutes to get good results. After you dry it off, you’ll feel your skin looks and feels softer, and after a few times, you’ll notice smaller pores and more even skin texture and tone. Now that you’ve had an in-depth look at each of the best charcoal masks, have you decided which one is right for you? If you’re still wondering which product you should select and why, that’s okay! That’s why we’ve taken it upon ourselves to go and create the buying guide, below. 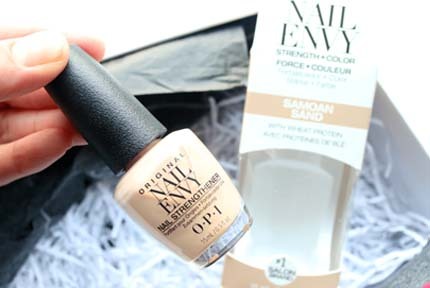 It will answer any questions you have and help clarify which product you should choose! If we’re going for ease of use, then we’d definitely choose just a regular liquid product. The peel-off masks are probably our least favorite if we’re talking about how user-friendly it is. They can be very messy and sticky, and sometimes are even a bit tricky to apply. Powders can also be messy, mixing them in with water, but they’re not anywhere near as messy as the peel-offs. Bars of soap and liquids are very easy to use, and generally much “cleaner”. However, if you’re a big traveler, then you may want to think about other things other than how messy they can be. We all know how airlines have cracked down on liquids. However, this doesn’t mean you don’t have to be without your charcoal mask! We’d just recommend going with either a bar or a powder where you can create your own masks and cleansers once you get to your hotel room! Now, you’ll want to think about how much you’re willing to spend on your new charcoal mask. Have a solid number in your head beforehand, and try not to stray from that number. However, it’s important not just to look at the price tag number, but also take into consideration how long it’s going to last you. For example, a bar of soap or the powder is probably going to last you a lot longer than a small jar of face mask will. So, have you decided on which one you’ll get? If you’re still on-the-fence, we can’t recommend enough the Origins Charcoal Cleansing Powder. It’s super versatile, and can be used as an all-over soap, a facial cleanser, and obviously a charcoal mask! It works to draw out all kinds of dirt and impurities from the pores, while simultaneously shrinking them. It even brightens the complexion of the skin, blurs imperfections and fine lines, and helps to better the evenness and clarity of the skin. Oh, and not only that, but it can easily be taken on plane rides, and is quite inexpensive, as you just need to add water for it to form! So, which one of these best charcoal masks will be making its way into your arsenal?